Are made for deceit or for art. The work at Hanwell is largely staffed by volunteers, offers of help are always welcome and full on the job training is provided. If you would like to lend a hand get in touch, email me at stephen.wass@kellogg.ox.ac.uk. DISCLAIMER. Please feel free to make use of this site ( with appropriate acknowledgments of course) but please also remember that these are working notes of a project's progress and much of the content is speculative and occasionally pure whimsy... be critical in what you accept. 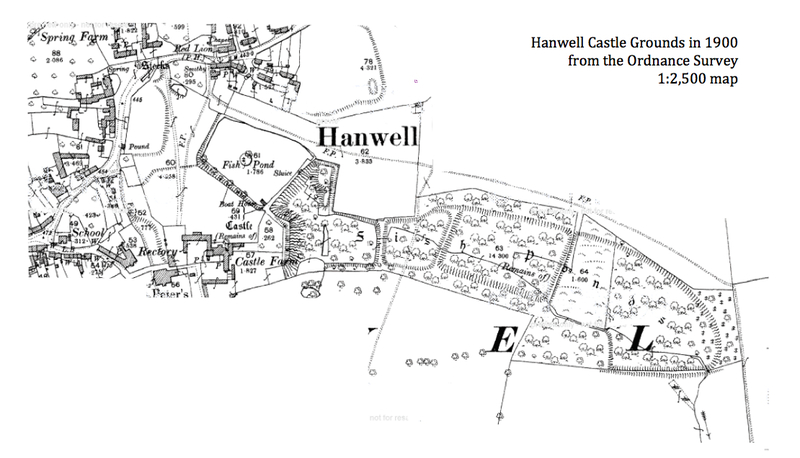 The castle and park at Hanwell, Oxfordshire constitute a remarkable site or rather series of sites which demonstrate enormous archaeological potential. 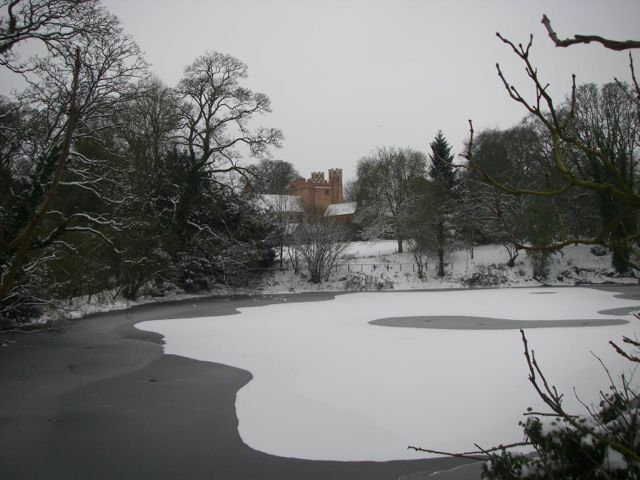 The current owners of the larger part of the grounds have, over the past few years, both conserved and developed the park, creating an extraordinary community observatory and instituting the popular series of 'Stars and Snowdrops' open days. 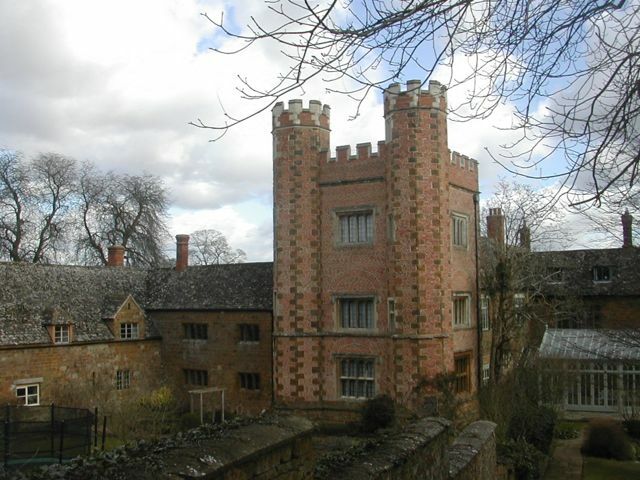 The existing castle was begun in 1498 when the manor, previously held by the de Vernon family came into the possession of William Cope, treasurer to Henry VII and is the area's earliest brick building. 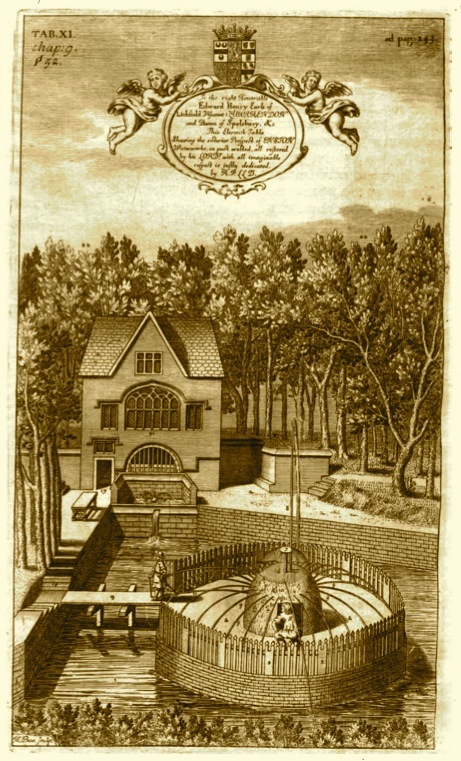 The park underwent considerable development in the late sixteenth and early seventeenth century to the point where its celebrated water gardens were visited by royalty and commented on by Robert Plot in his Natural History of Oxfordshire of 1677. 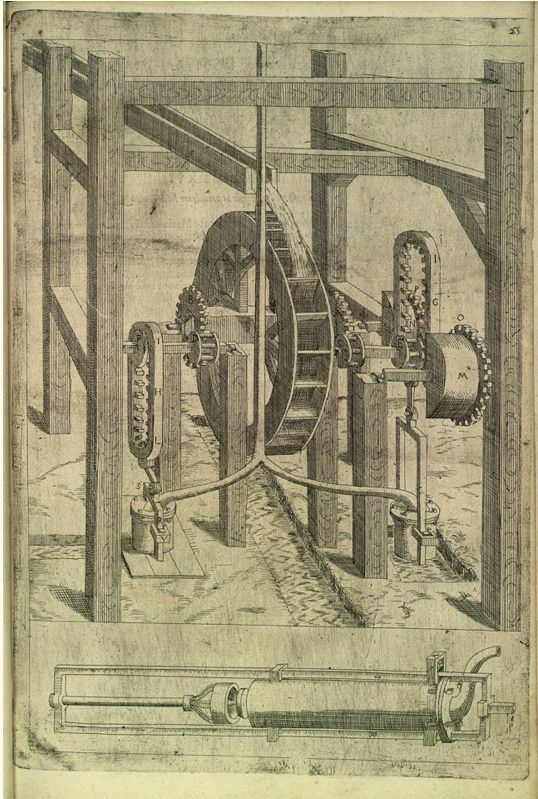 Here is his account and if this is hard to imagine here is an illustration from the same work of what surely must have been a similar feature from Enstone. All of this suggests a Jacobean garden of some sophistication and enormous technical interest. Fortunately from the point of view of the archaeologist this represented the apogee of the site's development and from then on it appears that only minor works were carried out in the park. Three quarters of the castle were demolished around 1770 and the surviving portion and the outbuildings became a farm. Following extensive restoration in the twentieth century the complex was divided into a series of residences. In fact the full story of the garden's development is likely to be much more complex and to reflect this I have started to compile a time line to link it all together. Now, thanks to the activities of such 'improvers' as Lancelot (Capability) Brown, the number of intact gardens from the seventeenth century is vanishingly small and although the surface remains from the period are limited at Hanwell one can expect the archaeology to be relatively intact so we have here, through a process of detailed mapping and possibly some small scale excavation, the potential to recreate, at least on paper, a great Jacobean garden. 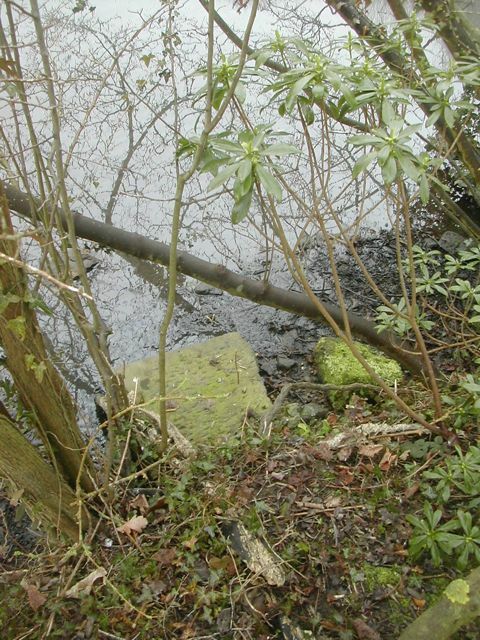 More specifically the kind of water powered 'special effects' seen at Hanwell were a distinctive feature of many gardens of the period yet details of the technology remain comparatively little known. A careful examination of the site could go someway to remedying this. 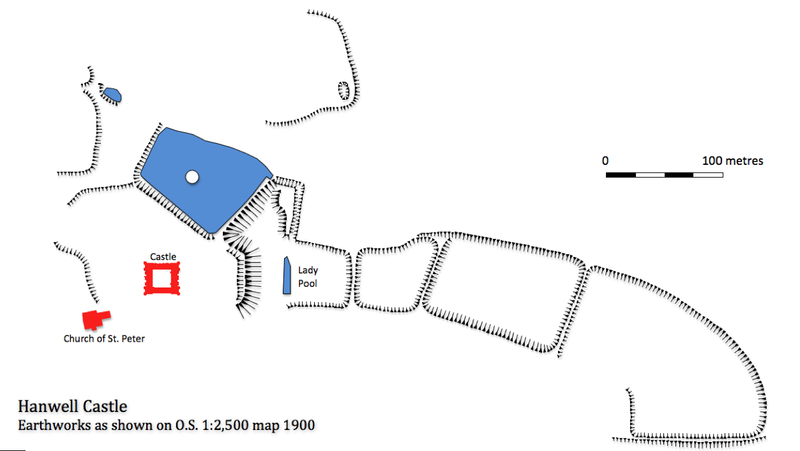 To help with seeing the big picture below are the earthworks redrawn from the 1900 map together with the reconstructed outline of the castle dropped in place. Running the cursor over the map will insert the contour lines. For me the obvious thing that this map reveals is the strong east - west axis of the arrangements. The entrance front to the castle is to the west but passing through the courtyard takes you out to a level area to the east where we could perhaps expect formal parterres and the like. This link would be re-inforced if, as the VCH argues, the castle courtyard was actually open to the east. 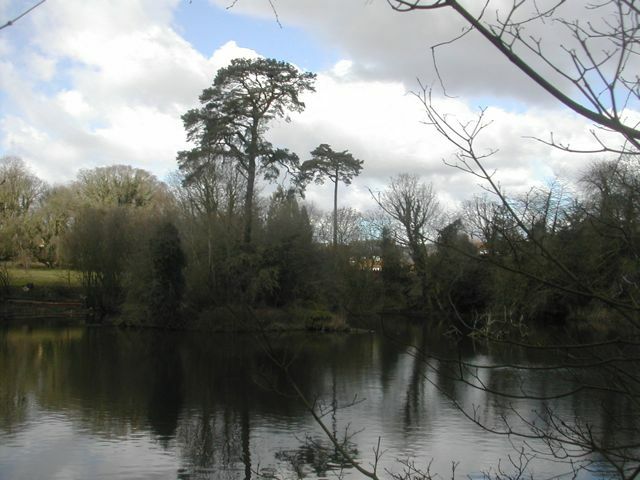 Beyond the possible site of the formal gardens we have the huge drop down to that part of the park which contains the Lady Pool and beyond that further elements in the chain of large ponds. Now surface indications can be misleading but I'm betting that the area around the Lady Pool was not a single large pool but was modeled to create the 'theatre of water' so in effect we should read it as a sunken water garden with, of course, more than sufficient head of water from the Upper Pool to power any number of special effects.Well we shall see. What was the nature of the earlier medieval manor and to what extent do the visible landscape features have their origins pre-1498? Where were the original boundaries of the park? At what date was work begun on the Jacobean 'special effects'? 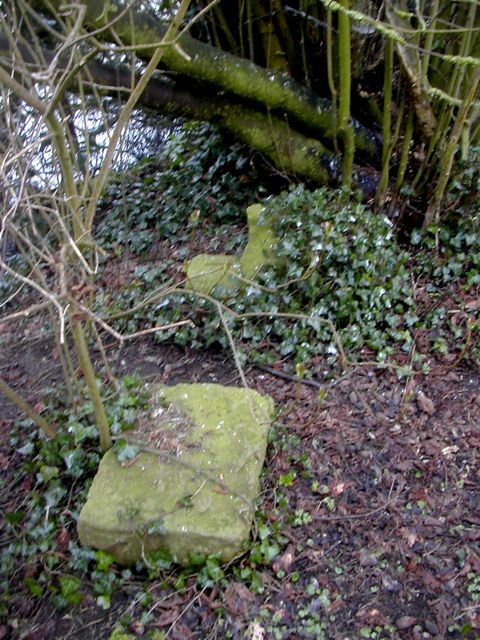 What remains of the various hydraulic devices and other garden features from the period? 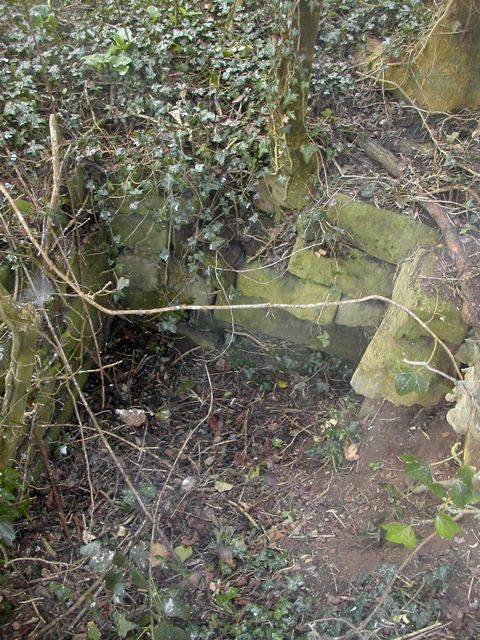 Is it possible that the 'sunken garden' could have had its origins as some sort of grotto? 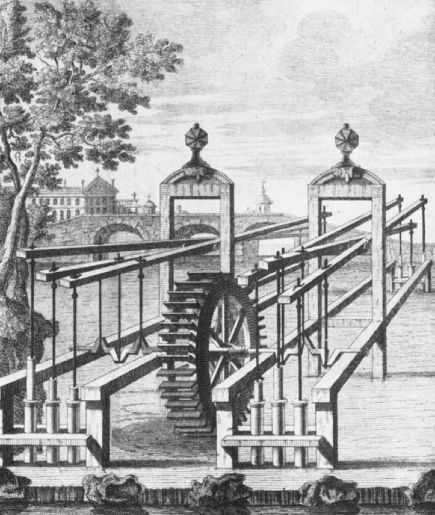 Where were the 'industrial' elements of the park located and what was their relationship with the more picturesque elements of the gardens? What was the impact of the eighteenth century demolition of the castle on the surrounding landscape? One of the best ways to get a grip on the scale of the undertaking is to consider what similar gardens, in their entirety would have looked like. 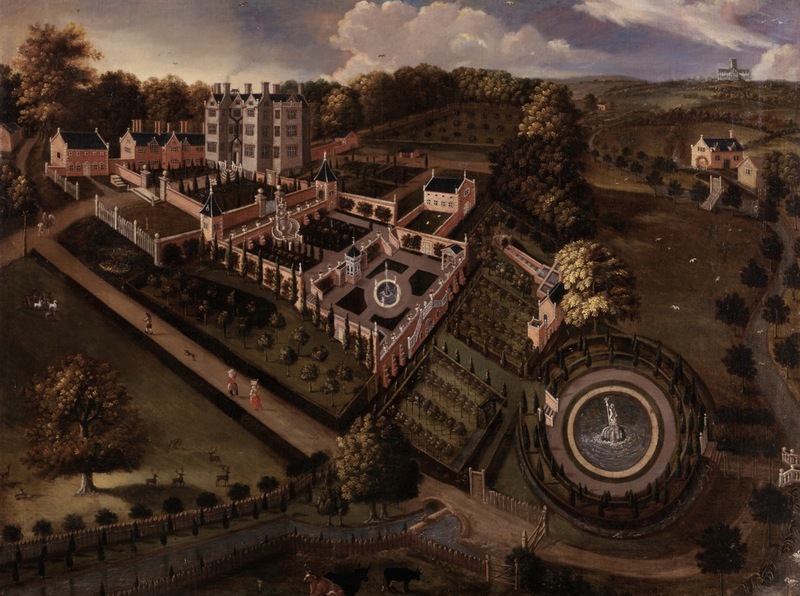 My favourite image - and there are not a lot to choose from - is this extraordinary painting of a bird's eye view of the gardens at Llanerch Hall, Denbighshire by an anonymous artist around 1662. After an initial meeting with the owners of the larger part of the gardens in March 2012 we were treated to a grand tour of the grounds during which various improvements, including planting and pathways, were pointed out with some enthusiasm. 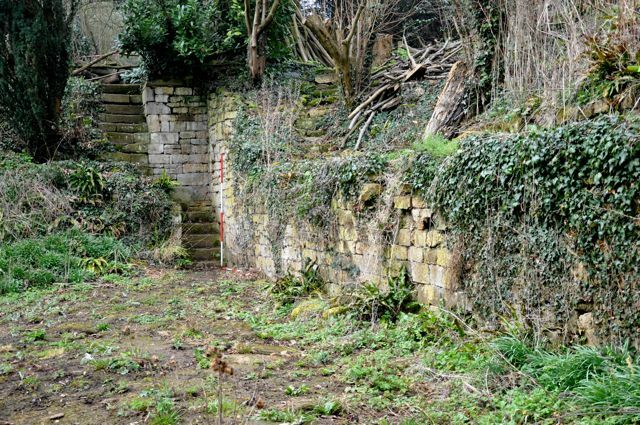 The owners also shared with us their considerable knowledge of the historic development of the grounds and indicated a number of archaeological features that they were aware of. 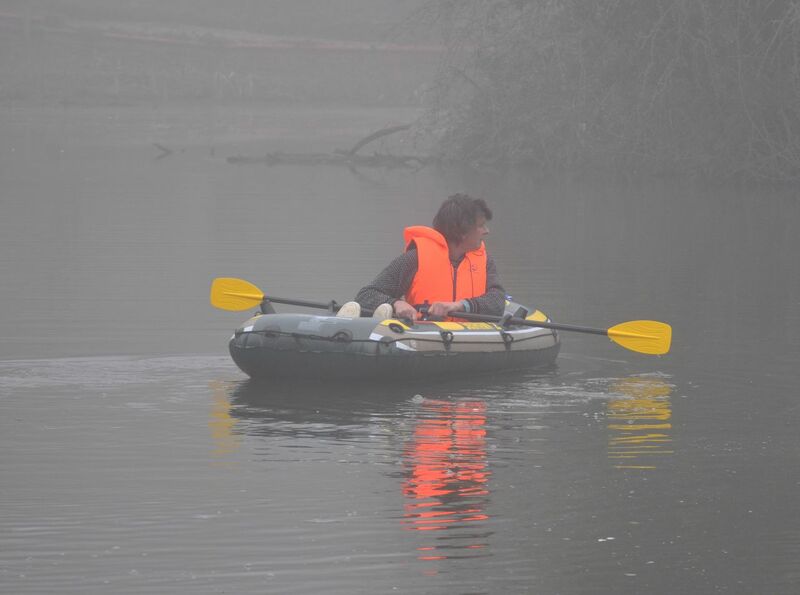 Naturally the site of the House of Diversion was bound to be a draw and following the purchase of a two person inflatable dingy an initial expedition was mounted to check on surviving remains on the island. Although the margins of the island were rather overgrown, making an approach quite difficult, the centre was comparatively clear under the shade of a large Scots Pine. 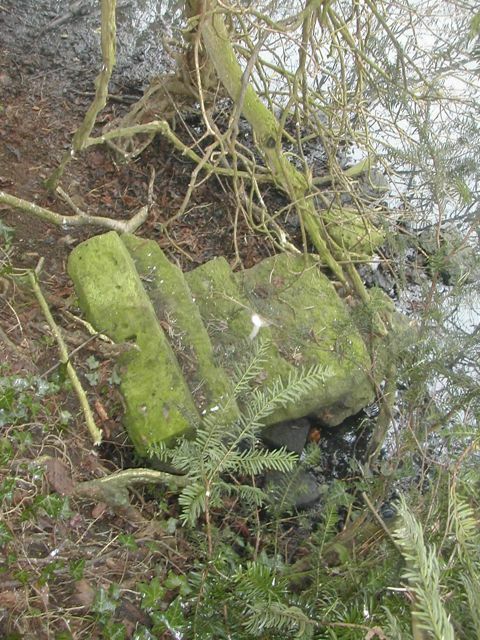 There were a number of loose blocks of stone round the perimeter of the island and one or two architectural fragments scattered amongst the undergrowth. 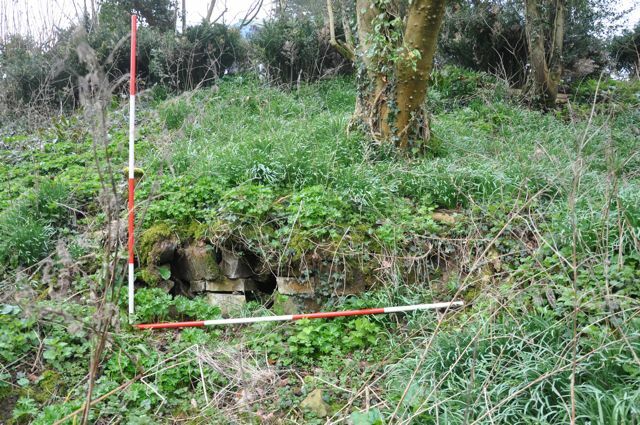 The main feature was a sunken area roughly 2 metres by 4 metres which was lined with rough stone blocks. 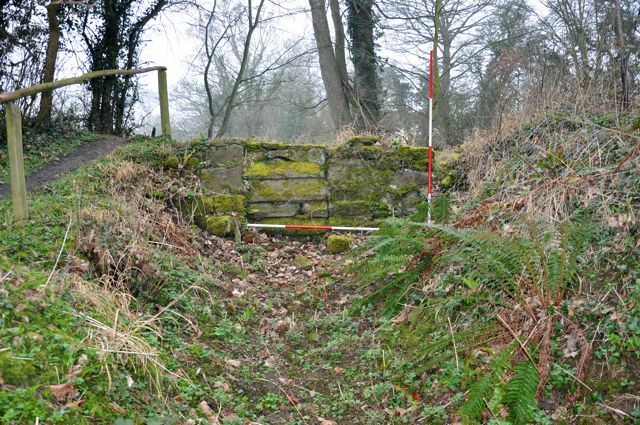 A local informant reported that this was known as Sir Anthony's Bath and that formerly steps had been visible going down into it. It will probably be worthwhile taking some secateurs over to cut back some of the more invasive growth which is clearly damaging the structure. We have also been taking some initial photographs of the earthworks and other features while the surrounding vegetation is still fairly close to the ground. 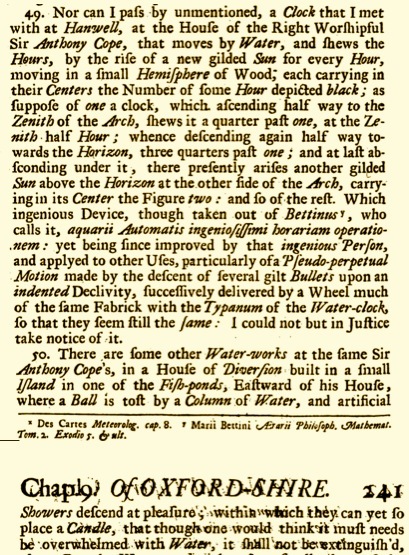 Given the very specific statement in Plot about the location of and effects achieved within the House of Diversion a pressing question is how the various fountains were powered. There is a small pond to the west but it is unclear as to whether or not this would be high enough to achieve the desired effects. Equally there could have been some kind of pumping mechanism, possibly powered by a waterwheel utilising the outfall to the north-east. Here are some examples illustrated in roughly contemporary sources. How it all looked... at the beginning.